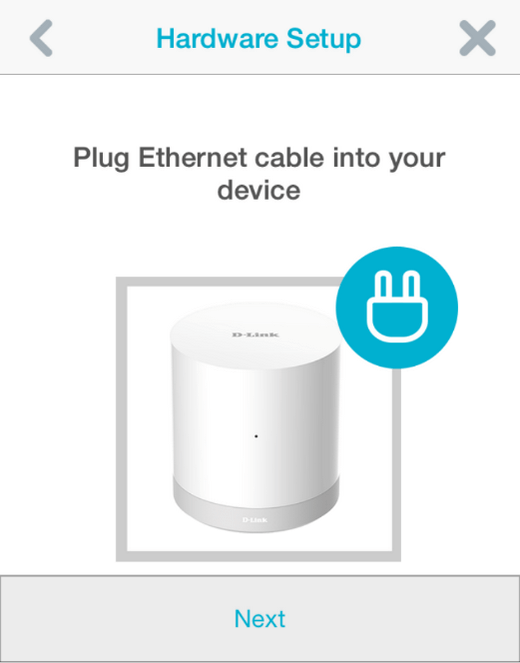 How do I setup my D-Link DCH‑G020 Home Hub using my iPad or iPhone? 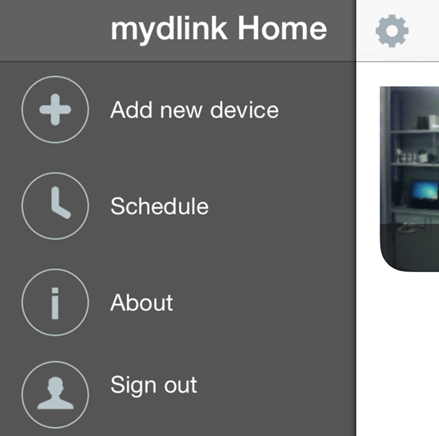 Step 1 – Open the mydlink Home app. Tap the settings icon to access the menu. 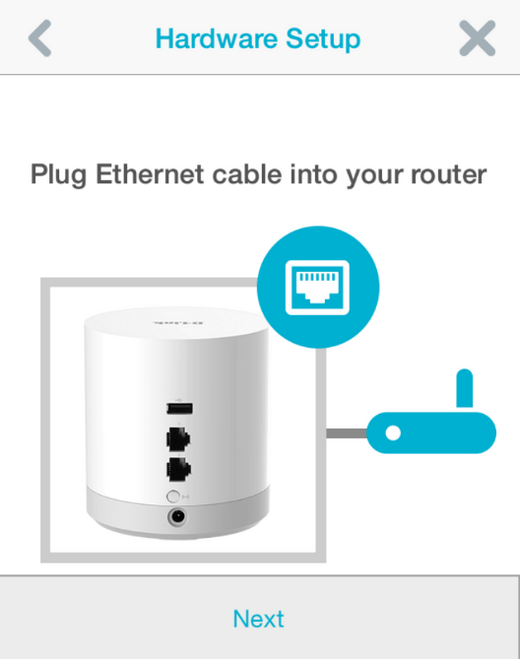 Step 4 – Follow the on-screen steps to plug an ethernet into your device, and into your router. 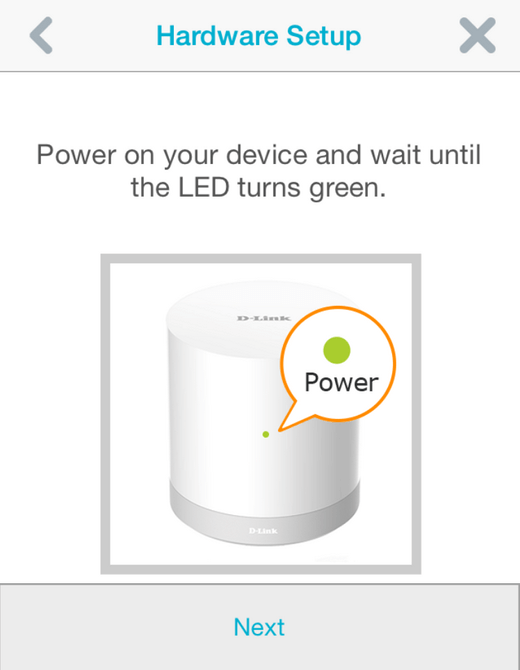 Step 5 – Power on the device and wait for the power LED to turn green. 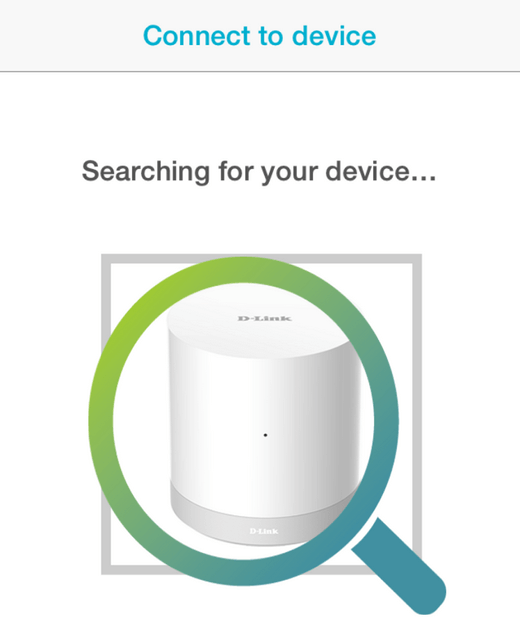 Step 6 – The app will search for your device. 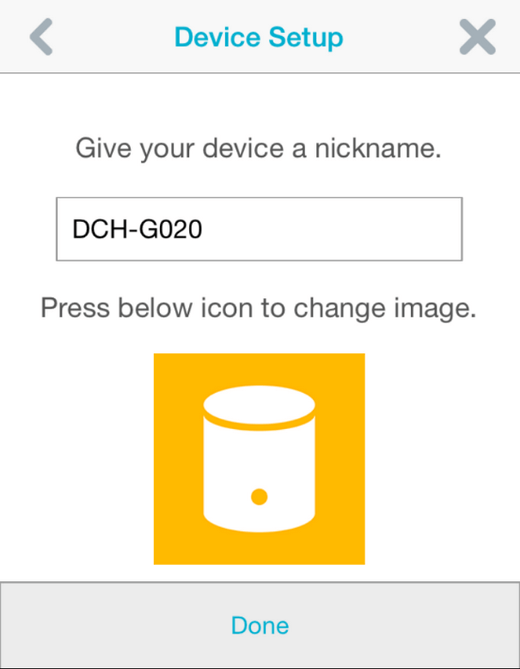 Once found, you will be prompted to name your device, and given the opportunity to change the icon associated with it. 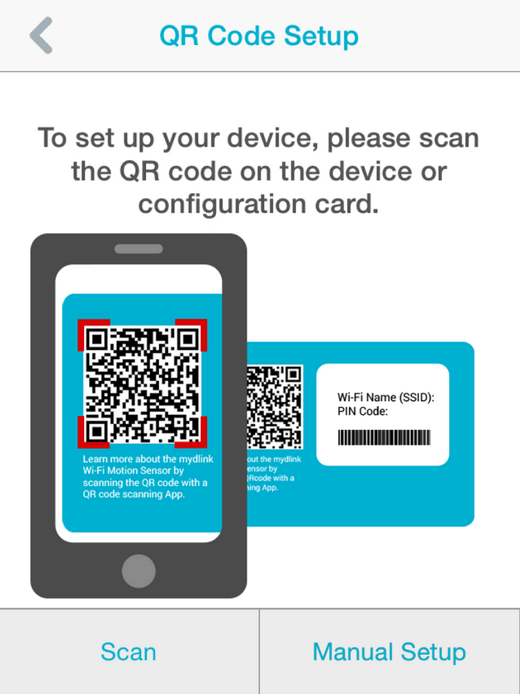 Click “Done” to end the wizard, and return to a list of your devices.